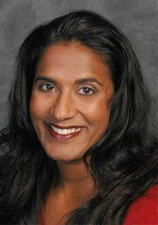 Lakshi is a board-certified dermatology nurse practitioner who has worked at the Portland VA for the past 28 years. She is a past president of the DNA and past chair of the NP Society of the DNA. She is currently serving as the co-chair of the Dermatology Specialty Practice Group of the AANP. She is an associate editor of the National Psoriasis Foundation’s journal, Psoriasis and Psoriatic Arthritis and is an editorial board member of the Journal of the Dermatology Nurses’ Association. She has received the Secretary’s Award for Excellence from the VA in 2008, the President’s Award from the DNA in 2015 and the Outstanding Allied Health PRovider’s Award from the NPF in 2017. Speaker’s Bureau: Abbvie, Celgene, Novartis, Lilly, Regeneron, Sanofi, Sun Pharma. Consultant: Abbvie, Celgene, Novartis, Lilly, Regeneron, Sanofi.